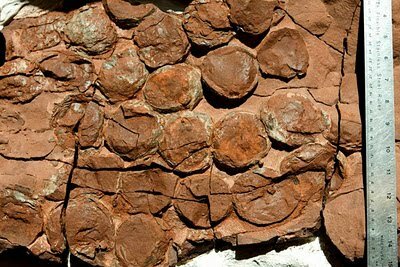 Dinosaur eggs assumed to be several 190 million years old have been originate in a South African national park. The nests are assumed to have been made in the early on Jurassic period by the herbivore dinosaurs. Each of the 10 nesting sites contains a number of clutches of eggs, and they are establishing at different levels in the cliff face. It is thought that a number of the eggs also contain fossilized embryos. Massospondylus grow up to four to six meters long as adults, told by researchers, but their eggs are just six centimeters in diameter.